EventCheck Knox reached a milestone last month when its 1,000th event was added to the calendar. With a busy spring of planning upon us, the calendar currently stands at 1,031 events and counting. EventCheck Knox debuted in June of 2014 and took just 20 months later to reach its 1,000th event, so don’t let anyone ever say there is nothing of significance to do in Knoxville. In fact, the city is packed with worthwhile nonprofits that hold galas, dinners, luncheons and fundraisers throughout the year from first-time events such as Young-William Animal Center’s benefit last fall to the always anticipated Knoxville Symphony Ball in December. The 1,000th event happened to be Go Red for Women, which addresses awareness of heart disease and includes a luncheon this May 20 at the Cherokee Country Club. 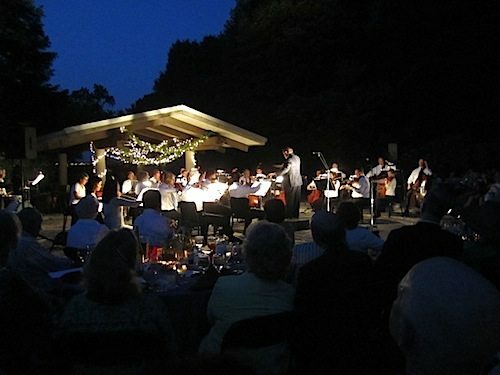 In an indicator of the variety of fundraisers in our region, the 999th one added to the calendar was the 31st Annual Symphony in the Park, an event at Ijams Nature Center that will be held Sept. 11. The 1,001th was the Circle of Friends Founding Members Celebration, a Zoo Knoxville event on April 1. All of these events are, of course, upcoming in 2016. That is the primary purpose of EventCheck Knox, which was created to help planners and event organizers. The website is designed to show planners what other events are scheduled so they can choose the best dates and try to avoid competing for similar audiences. Overlapping events targeted for the same people divide attendance and awareness, a double whammy for a nonprofit fundraiser. Moxley Carmichael and Pilot Flying J are the primary sponsors of the site, and Cynthia Moxley asked me to oversee it shortly before EventCheck Knox was launched. Moxley wanted someone who was thorough – a polite way of saying obsessive and persistent – and figured a former newspaper reporter and editor (such as herself) would dig into the detail. Of the 1,031 events on the calendar as of today, I placed 914 of them, along with nearly all of the 239 venues and 257 organizers to date. I passed the Moxley test of compulsive attention to tracking down events. With that said, here are three things I have learned along the way. EventCheck Knox is not an all-events community calendar, but it has become one that people will check. If your event is a ticketed one, make sure it is easy for people to buy tickets via an online link. If your event is a private one, don’t think it should automatically be excluded from the calendar. The EventCheck Knox listing can state “invitation only” or “members only.” The listing will add awareness and could lead to new members and donors. It also hopefully will prevent someone from holding a similar and equally important event at the same time. Set a date and send it in. There is an online submission form on the site. Also, please email me with any questions at mcornelius@moxleycarmichael.com. We can list the event with a confirmed date and add detail later, such as venue, time and ticket price. HearthScares Ball will be held Oct. 28, and James White’s Fort sent the event info in early January. The annual Childhelp Gala will be held Nov. 4, and the organization sent the confirmed date last December with details to come. That helps other planners see when events are scheduled in 2016 well in advance. The analytics show our site on a steady upward climb of new visitors. That is what we hoped would happen as more planners come on board. We also feature a regular blog, and you can sign up here to receive it by email. One final remark: Thank you to every planner who organized those 1,000-plus events. EventCheck Knox salutes you. 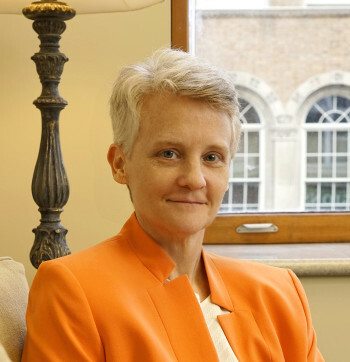 Maria Cornelius, a writer/editor for Moxley Carmichael, populates the EventCheck Knox calendar. When not obsessing over its detail, she is immersed in basketball’s March Madness and anticipating the start of the Atlanta Braves’ baseball season.